Melissa Sciorra is the Senior Manager of SEO for SmarterTravel, the media arm of TripAdvisor. 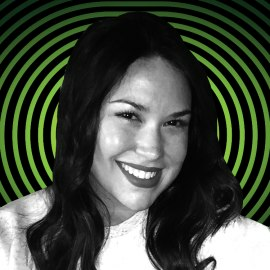 She works on implementing content strategy, technical SEO, and on-page SEO across well-known editorial brands that reach nearly 200 million unique visitors each month. Her portfolio currently includes Oyster.com, Jetsetter.com, FamilyVacationCritic.com, SmarterTravel.com, WhatToPack.com, and Airfarewatchdog.com. In the past seven months at SmarterTravel, Melissa has grown the organic presence of the brands by more than 100%. Melissa has been nominated for SEMPO's Industry MVP and Conductor Searchlight's Industry MVP Searchie award, won PR Daily's Digital Award for Best SEO, and won PR News' Digital Award for SEO. Fortify your content strategy skills with this masterclass designed for students with a baseline knowledge of content marketing who want to take their careers and business to the next level. You'll dive deep into the tactics and techniques that aim content marketing investment in the right direction, to get the ROI you demand for your investment. This class includes a Content Strategy Workbook and online resource center, with tests for online certification of completion and badges to help advance your career. It's all about getting ahead of the competition and winning the war on the web. Learn how to scrape your competitors top performing content and keywords, analyze the text with AI tools to find tone, style and consistent themes, and apply that intelligence to develop your own content strategy rooted in performance that will better appeal to your readers and fans and deliver results. •Key elements of a web page that can be extracted for research. •Top discovery tools to quickly find optimized topics, titles and tags. •How to use XPath and Screaming Frog Web Crawler to fuel research. •New tools to analyze content and predict the big five characteristics. •Sneak peek at some new tools for advanced search engine optimization. Open Mic: What's in My ConTech Stack? To create all this great content required to EVOLVE content marketing, you'll need the latest content marketing technology stack. But that 60-foot long wall of ConTech tools in the CMC hallway this year may seem a bit overwhelming. If so, you'll want to attend this open mic session moderated by Cathy McKnight for answers and suggestions from a panel of experts. Every size business or agency is welcome, as we've got all the bases covered with this panel.